Madison small link necklace by David Yurman. Sterling silver. 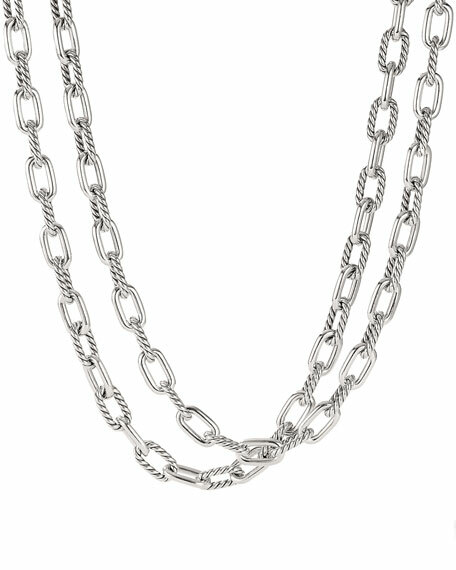 Baby box chain, 1.7mm wide. 36" at maximum length. Adjustable side closure. Made in USA.